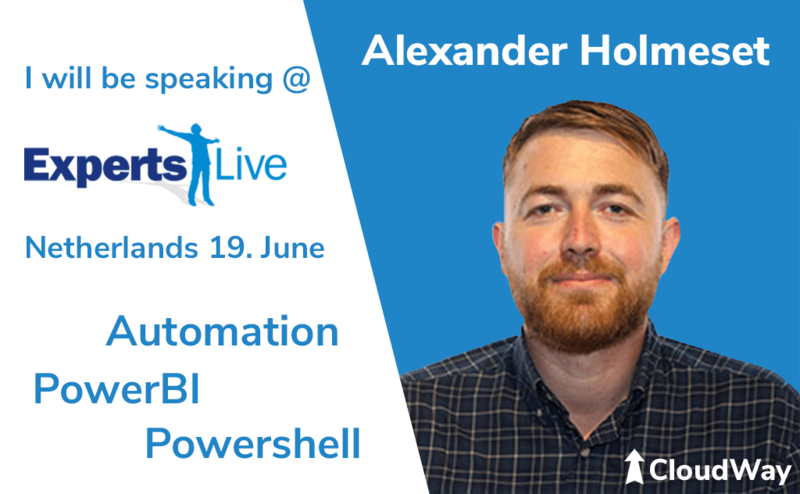 We are very proud that our Cloud Consultant, PowerBI enthusiast and automation lead, Alexander Holmeset, is talking at Experts Live Netherlands. He will show his experiences on capturing data from Office 365 and presenting it in reports that can be delegated to people without any access to Office 365 admin roles. How can we use PowerShell to interact with Power BI? What are the possibilities. What to think about? I will demonstrate how to get started using PowerShell/PowerBI and show some simple reports created in PowerBi and updated by PowerShell. If time permits, i will also show how to setup this in Azure Automation.